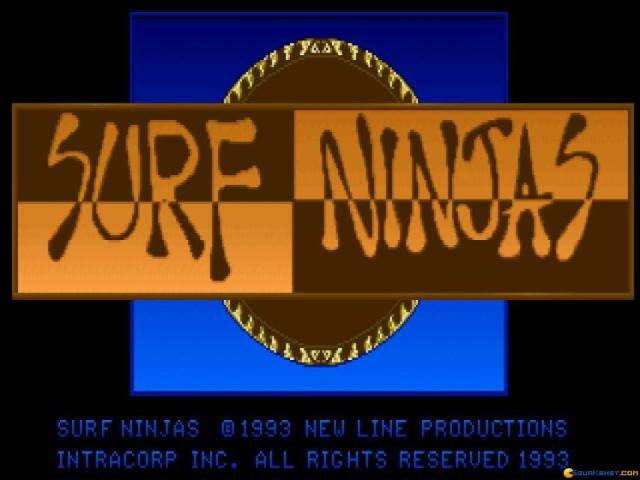 The Surf Ninjas movie series didn't exactly set the world alight but that didn't stop video game developers jumping in and producing a tie-in. 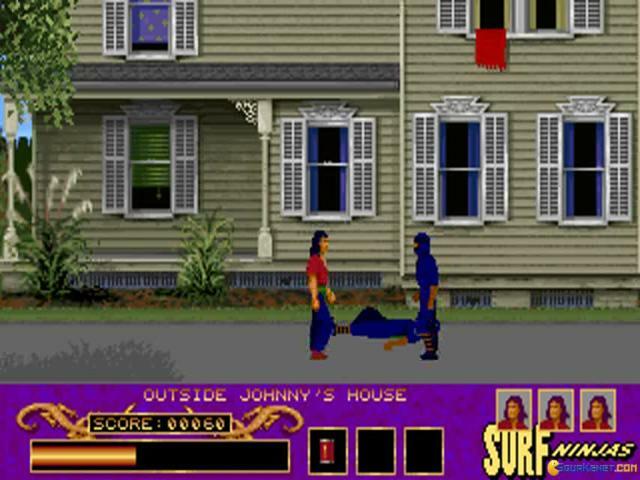 Unfortunately for gaming fans, the result is just as painful as the movie and simply cements the poor reputation that licensed games have in the industry. 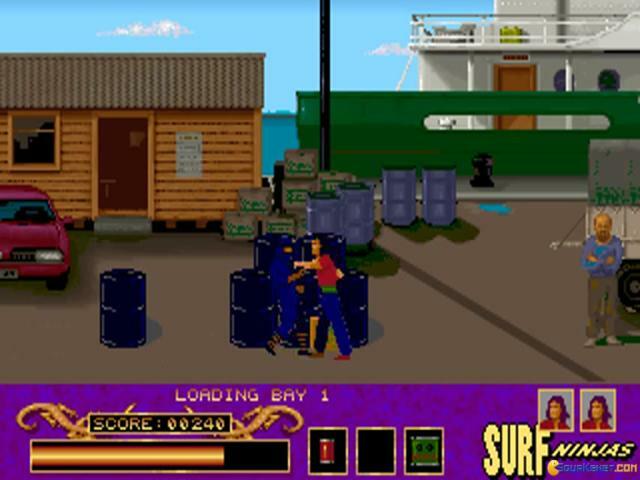 The game loosely follows the plot of the movie, but translates the action into straightforward enough side-scrolling beat 'em up, which simply requires players to wander around a series of unimaginatively designed levels, fighting wave after wave of enemies, while jumping over the various platforms and occasional hazards that crop up. 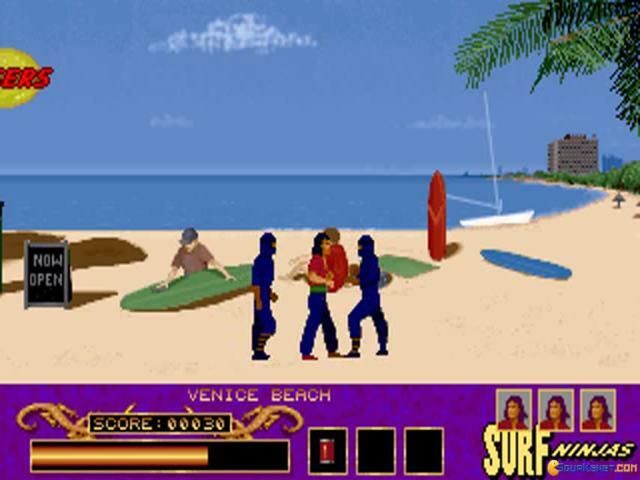 As you progress, weapons become available to support the simple combos, like shurikens, fireballs and swords, while a powerful attack can also be called in to help you. 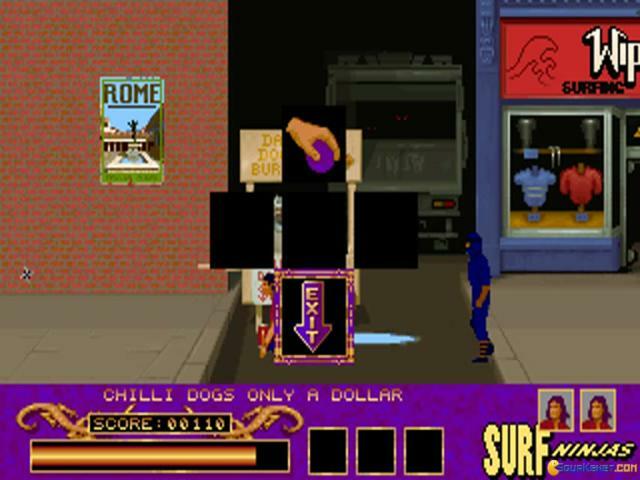 Coins dropped by the enemies can be collected to provide bonus time, extra lives, hints, continues and the like, but that's about it really. 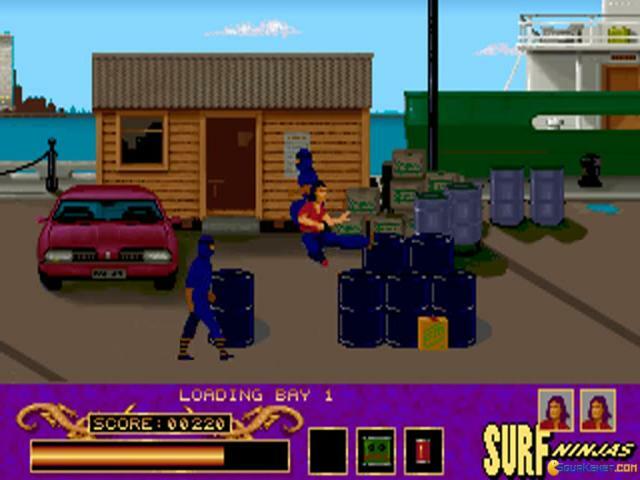 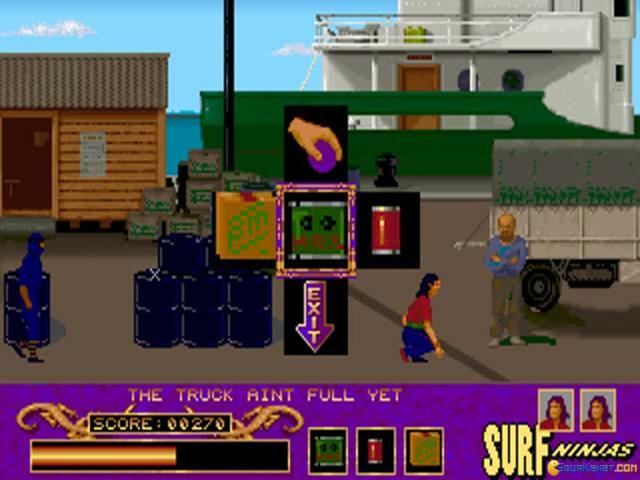 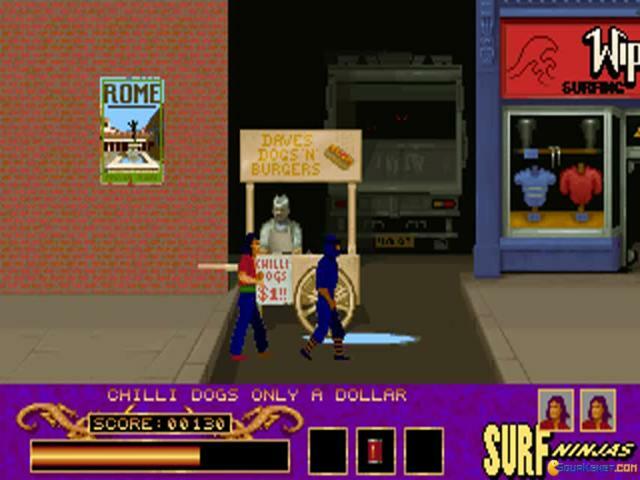 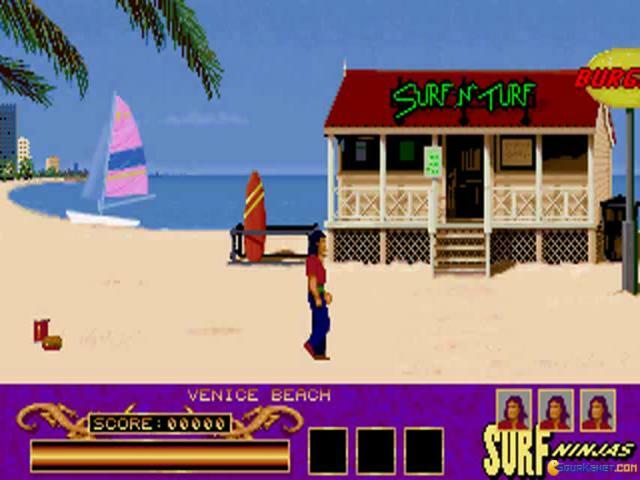 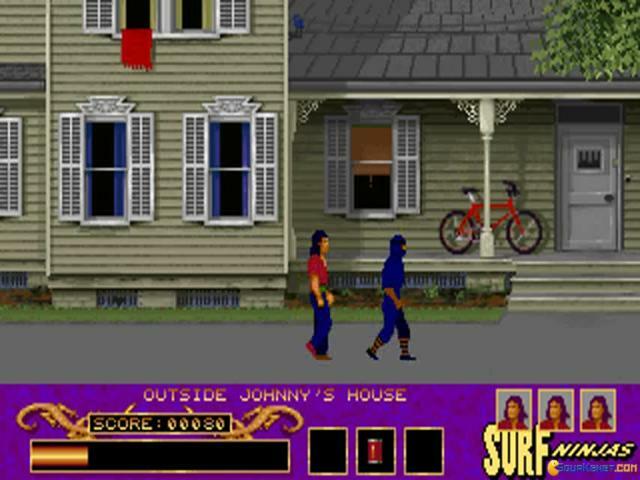 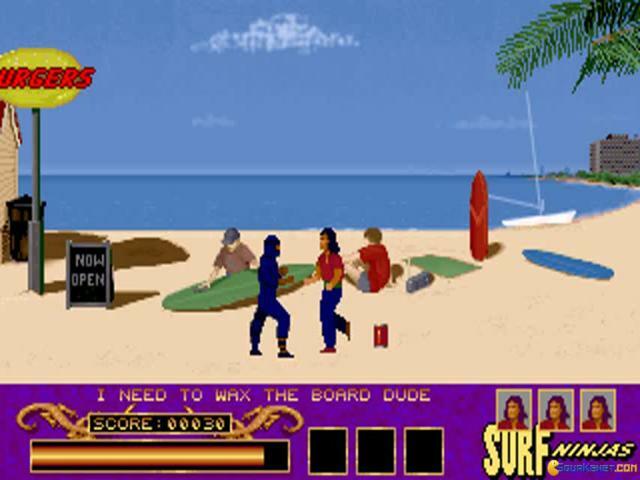 Surf Ninjas really is a pretty poor attempt at a game, and simply stands as a pale imitation of classics like Renegade, Final Fight and Double Dragon. 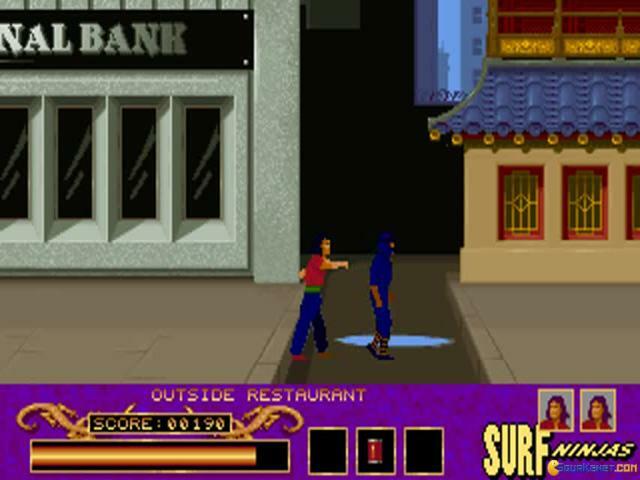 The graphics here are pretty awful, with dull environments, and sprites that while chunky are badly animated and which look more comical than threatening. 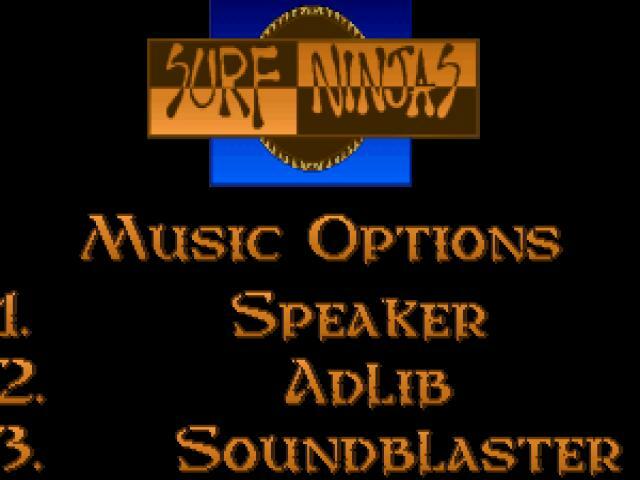 Sound too is similarly unimpressive but the real problem is that the gameplay is simply too boring and repetitive to be enjoyable, with level after level of uninteresting enemies which are all exactly the same. 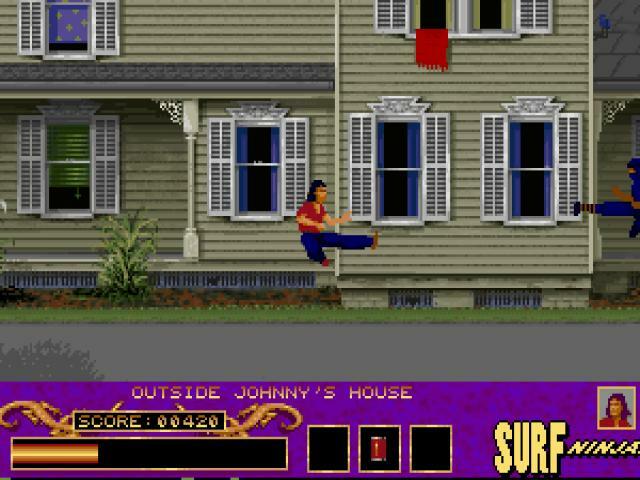 Unless you are an absolute fan of the movie or just like bad fighters, then steer clear of this one.